The new google maps for android is worth an update! The current version of Google Map does support Navigation and other features, but with this update there is a cool integration with Google Cards - which is real intuitive treat for eyes. 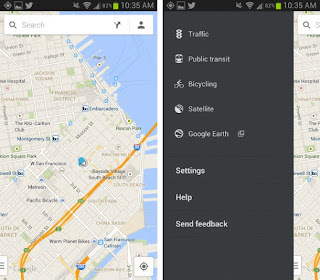 You will also noticed an important difference or awesome shortcut for the new Google Maps on Android? 1. When you look up a destination, you can slide the information card up from the bottom of the screen to reveal the call, save, and share buttons (borrows the Google Now card appearance). You'll also see the street view of the location, ratings, and reviews. No more trying to tap on the tiny map pin to open the information page! 2. Tap the silhouette icon at the far right-hand side of the search bar to gain quick access to your map data. This data includes reviews, saved addresses for home and work, nearby offers, saved places, and even recent searches. 4. 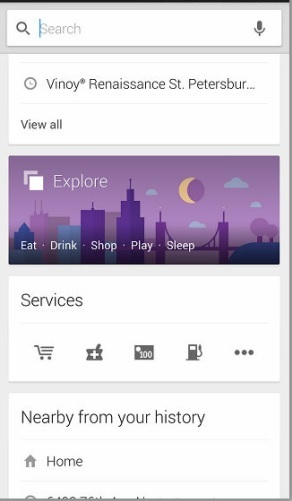 The Local feature has been replaced by Explore. Press the search box at the top and then scroll down the page to find the Explore banner, where you can choose from eat, drink, shop, play, and sleep. There's even a menu with categories so you can find places around you without knowing the business names. 5. If you want to save Google Maps so you can access them while offline, just say or type "OK Maps" (Google Glass, anyone?) in the search box. You'll see a message that says the onscreen map area has been cached. 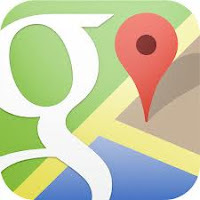 You may have noticed that Latitude is nowhere to be found in this version of Google Maps. If you want to see locations of friends, you'll have to open the Google+ app and choose Locations from the left-hand menu.